Y'know, in case you feel like surprising a special someone. (SPOT.ph) No matter how many times people deny it, it’s always nice to receive jewelry from a loved one. Maybe because buying them yourself makes you feel really guilty (…and because you’d rather spend your hard-earned cash by treating yourself to a buffet). 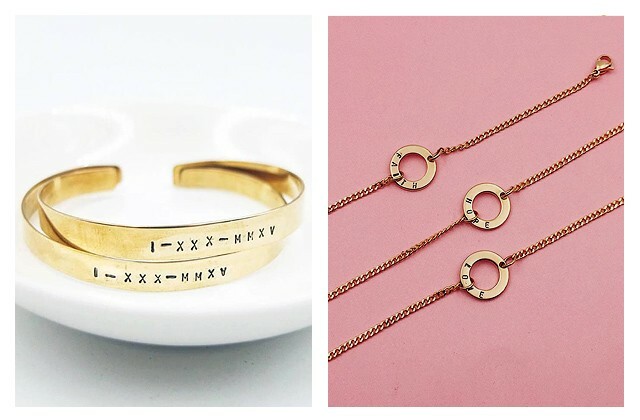 But if you’re looking to spoil yourself a little (or if you’re planning to surprise someone), we put together a list of jewelry brands, both local and int ernational, and their respective price points, to make your life easier. All of Wear Cari’s pieces are made with love. They have a wide selection of handcrafted jewelry like rings, bracelets, necklaces, and earrings. We love how dainty and versatile each creation is. Each piece is stylish enough to be worn on its own, but you can layer them up if you’re going for a unique look. The best part? They won’t put a dent on your wallet. The downside? It’s going to be hard to buy just one piece! You can shop Wear Cari online. 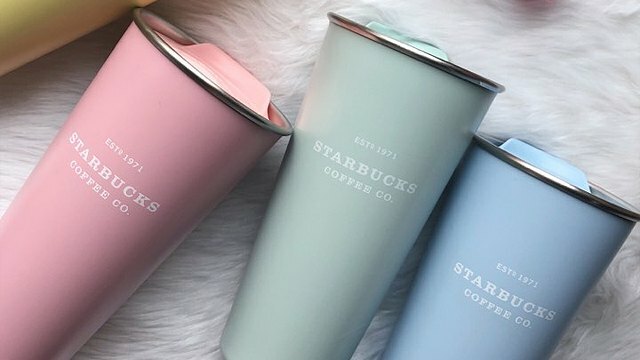 Have a penchant for all things personalized? Pulseras by Kim can customize bracelets and necklaces by handstamping your initial, name, or your chosen word or phrase on pendants, bangles (and even rings! ), making each piece more meaningful—especially when given as a gift! You can shop Pulseras by Kim online. If you’re into anything boho, you’ll fall in love with Soul Flower’s handcrafted jewelry. They have a selection of artisanal necklaces, bangles, earrings, and rings that are all carefully handcrafted in their studio. 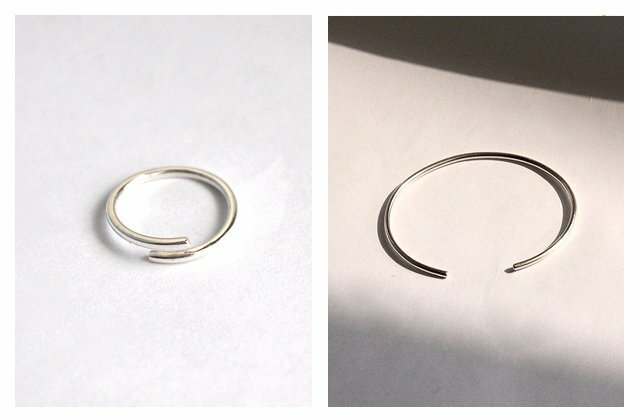 Currently, their latest collection features jewelry made with brass and copper. 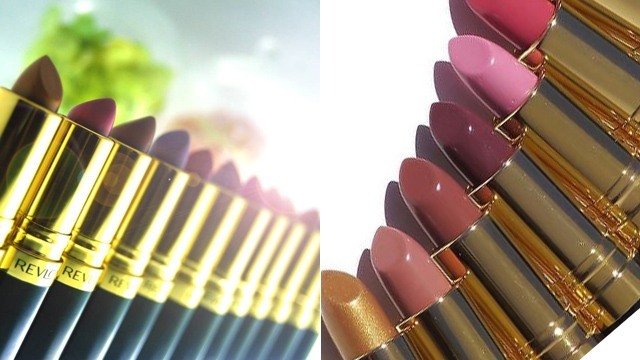 All their pieces come in two­­ colors: gold and rose-gold. 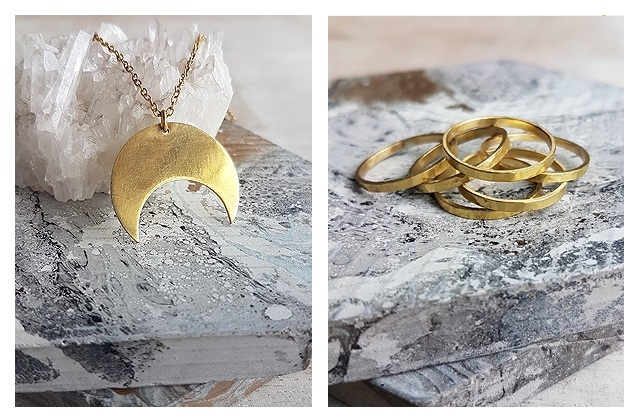 Chic and versatile, simple yet dreamy—that is what Dandy Ona’s beautiful pieces embody. From bracelets and necklaces to rings and earrings, each piece is thoughtfully designed and handcrafted by local artisans. 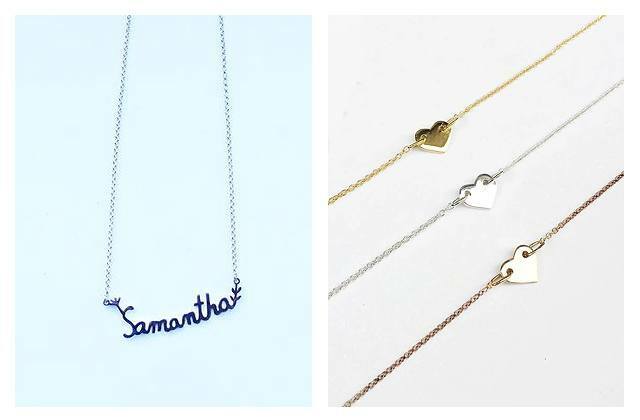 You can even turn your (or a loved one’s) handwriting into a necklace! If you want something custom-made for a special occasion, you can shoot an e-mail to hello@dandyona.com. Oh, and if you’re thinking about getting hitched soon, Dandy Ona also has a collection of gorgeous engagement and wedding rings (P30,000). You can shop Dandy Ona online. 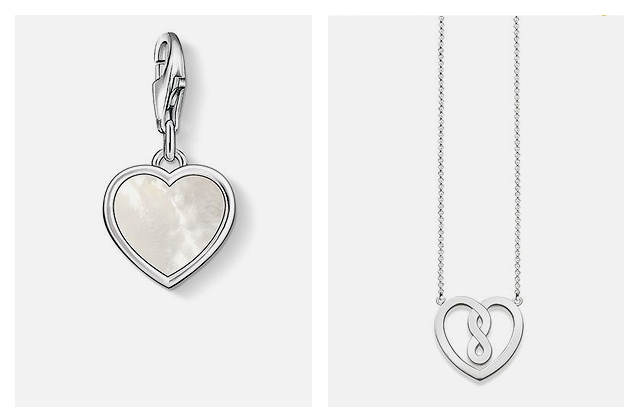 Nami’s timeless pieces marry simplicity and luxury—perfect for people who love a classic look. Each Nami creation is skillfully handcrafted by local artisans in the Philippines. Stack on their bangles or wear just one to add a touch of sophistication to your look. Everything is tarnish-resistant and hypoallergenic, too! You can shop Nami online. There’s a reason why people flock to Pandora every Christmas and Valentine’s season: They’re fool-proof gift ideas for loved ones! That and because everyone seems to really like the idea of celebrating a milestone and remembering it through charms—their wide selection of charms is irresistible! Don’t get us wrong, though. Their rings, necklaces, and earrings all deserve the spotlight, too. But what really sets Pandora apart is that they have pieces for all kinds of budget. You can go for a simple but elegant ring worth P1,950 or one with a 14-carat gold heart for P9,650. 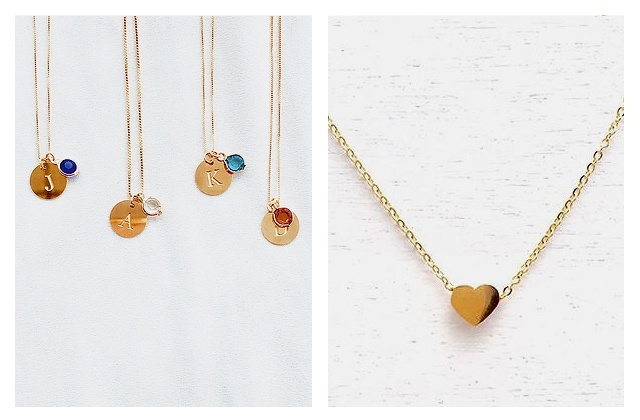 But if you have a higher budget, we suggest going for their necklaces—they have a lot of lovely designs to choose from! Another great choice for people who love to celebrate every milestone with a little something shiny, Thomas Sabo has an extensive collection of charms that’s perfect for every personality and occasion. Their charms are popular for their lobster clasps which make switching up the charms in your necklace or bracelet effortless—and that may do more harm than good to your wallet. See a list of Thomas Sabo branches. 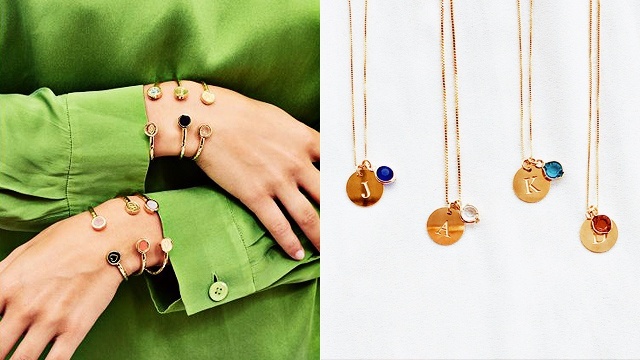 If you have a penchant for all things whimsy, then you'll fall in love with Les Néréides’ dreamy jewelry pieces. 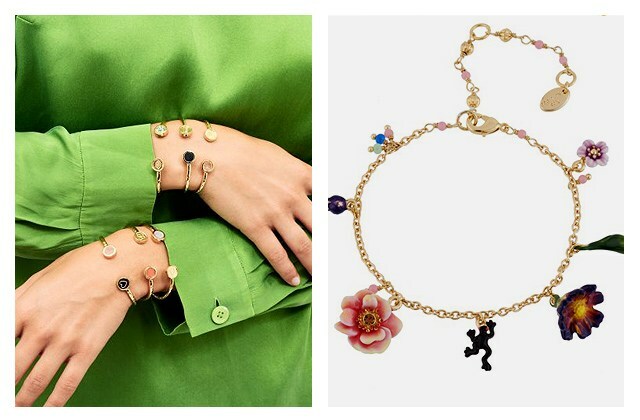 The Parisian brand is known for their meticulously handcrafted jewelry inspired by nature and animals. You'll find squirrels, jellyfish, dogs, ballerinas, flowers, birds, and even scorpions on their delicate pieces! They're all made of malleable brass and the jewels are gilded with 14-carat fine gold. And since everything is handmade, each piece is unique and comes in limited quantities. The collection curated for the Philippines only carries about one to two pieces for each design, so you know that you'll be getting your hands on something very, very unique—perfect for that special person in your life. You can shop Les Néréides at Greenbelt 3, Makati City. 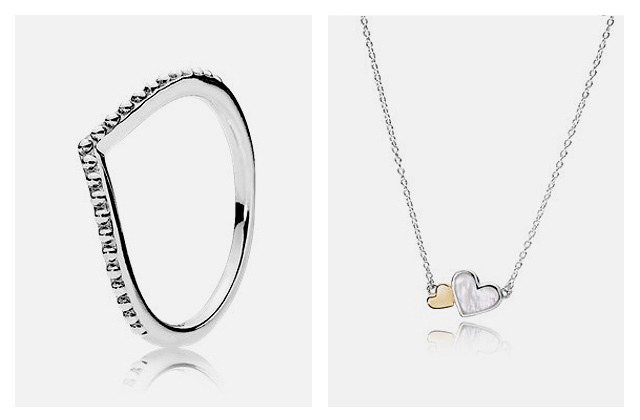 If you’re looking to spoil someone (or yourself) silly, choose from Joyeria’s The Perfect 10 Collection. The line features 10 pieces of fine jewelry with natural diamonds set in 14-carat solid gold that are worth P10,000 each. Our picks? 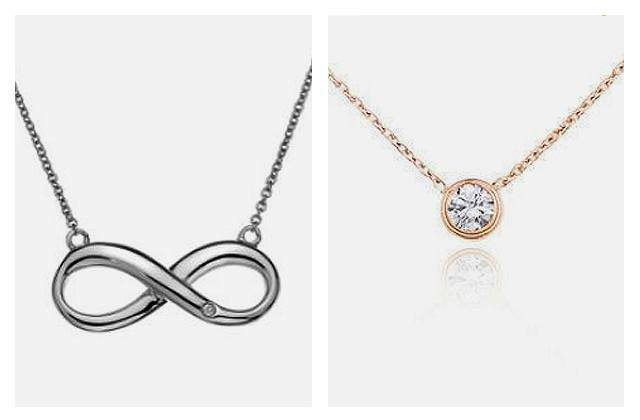 The Infinity Necklace with 0.01-carat diamond and the .10-carat Bezel Diamond Necklace! Joyeria always aims to put joy in luxury (hence, the name), so it’s good to know that they’re launching the EmpoweRing (P15,000) wherein part of the proceeds will go to women with livelihood programs. You can shop Joyeria at 27J Fairways Tower 5th Avenue corner Mckinley Road, Bonifacio Global City. You’d be lying if you say you never dreamed of receiving an iconic Tiffany-blue box from a loved one. You’ll never have to worry about liking what’s inside because you know you already love it! Safe to say you can never go wrong with gifting someone you love something from this American luxury jewelry retailer, whether it’s a necklace with a simple charm, a bracelet with diamonds, or a brilliant ring. 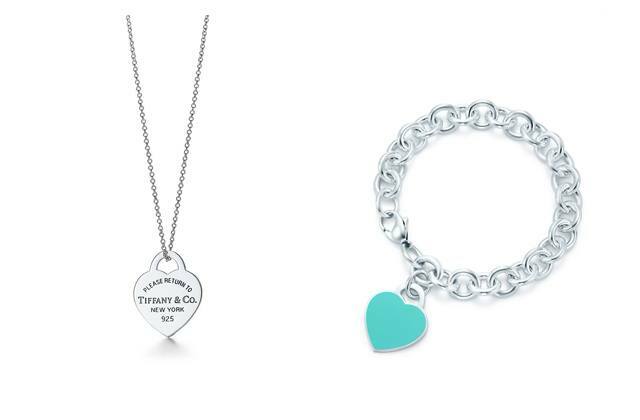 You can shop Tiffany & Co. at Shangri-La Plaza Mall, Mandaluyong City.